Pandora Brilliant Bicycle Pendant Charm. 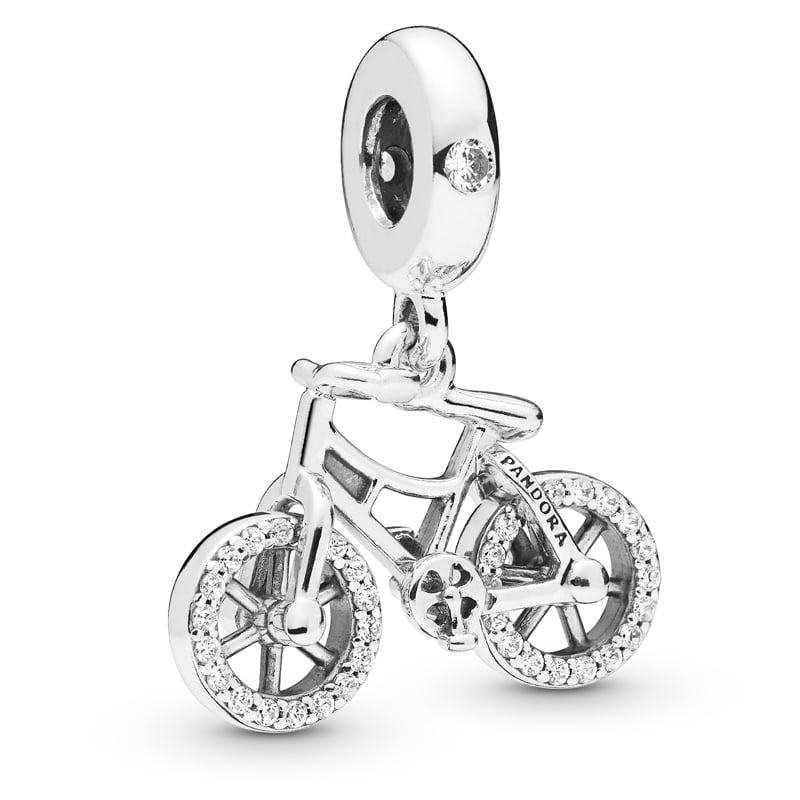 Perfect for those who love a sense of adventure, this darling little bike charm is made from sterling silver. Complete with glittering wheels, they even rotate to bring a sense of playful movement to your bracelet styling.